Meet Roshni, a Youtube teacher who has more than 75000 students!! In an era, where tuition is seen as a necessity and, quality education has become a distant dream for many outstanding kids due to high expense, this lady from Bengaluru stands apart. Because, she teaches for free and has more than 75000 students! She reaches her large student masses across the country through her Youtube channel. Roshni Mukherjee, a new age teacher. 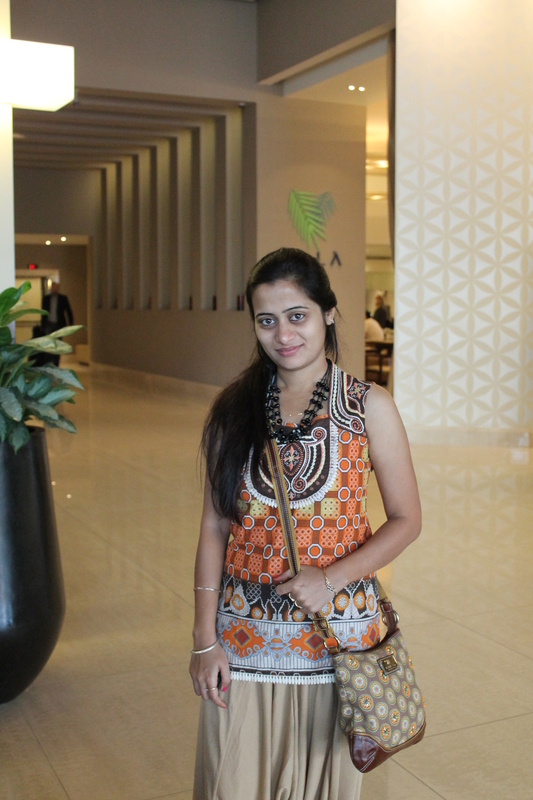 Meet Roshni Mukherjee, who quit her job at Wipro/HP to realise her passion for teaching. With the motto of providing free education maintaining the quality, Roshni started Examfear.com four years back. It now has over 3900 videos on Physics, Chemistry, Maths, Biology for Class 9, 10, 11 and 12th standard students. Her youtube channel has more than 74000 subscribers. Roshni has a Masters in Physics and is now a full-time teacher in her own venture Examfear.com. Readoo India spoke to her over email about her motto, passion and inspiration. Here are excerpts from our conversation. What were you thinking when you left your regular job? Time management was the biggest challenge as long as I was working. I struggled the initial years spending all my weekends creating ExamFear videos, and a couple of hours at night on the weekdays after office. I had to concentrate on the office as well as ExamFear. So, I thought of resigning from the job and give my 100% dedication to ExamFear to make it bigger and better. The appreciations from my students and viewers on my YouTube channel keep me motivated to create more & more videos. My husband is my pillar of strength. I sometimes feel that he has more confidence in me than even I have, that I can do something really good in life. I feel really blessed to have such encouraging and wonderful parents. They always motivated me since childhood to achieve the best in everything I did.I remember, they often said “You are no less than a son. My mother, though she was a homemaker, she always wanted me to do something good in life, in terms of career. She gives me a lot of encouragement even today. 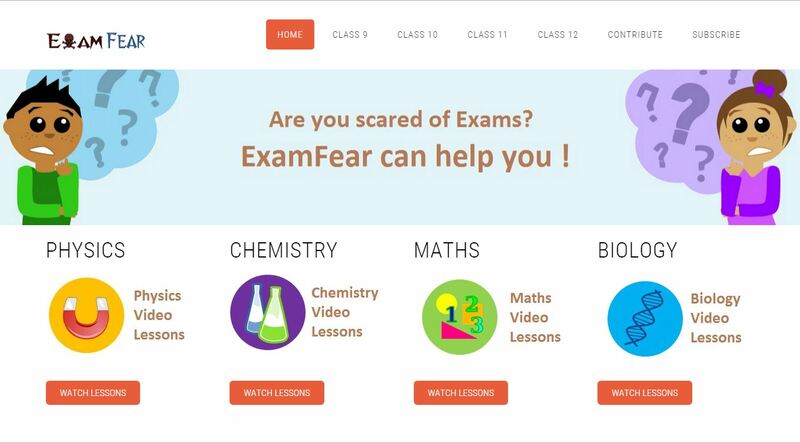 What is the secret behind the success of Examfear.com? A simple and straight-forward approach. I always try to explain a concept in simple language taking examples from our day-to-day life. I also make use of pictures & animations as required. I try to give a quick recap of complex concepts so that students can get it clear. Each lesson is followed by some Questions/ problems with solutions so that it helps the students even better to understand the application of the concepts learnt. OK, imagine we are travelling back in time and you are yet to start teaching, what better you could have done from that of now? I love to teach, and that’s what I do. This gives me immense pleasure & satisfaction, which I feel is the most important thing in one’s career. So, nothing better than this! There were hurdles reaching here, but I am happy that I am doing what I wanted to. I am also happy that I could help many students, and I plan to help many more. Any message to the people through Readoo platform? Let us all reach out to all those students who can’t afford quality education, and help them to brighten their future. Please spread the word so that more & more students can be benefited. I would also like to tell the students that please do not adopt the rote learning technique just for scoring well in exams. Focus on understanding the basic concepts so that you can relate their applications in your day-to-day life. Trust me, you will undoubtedly do better in your exams when your understanding is clear. It is been a really nice conversation with you. Readoo India fraternity wishes you success in making a quality education a reality for more and more students. Those who wish to contribute whatever they like for her noble cause can use this section of Examfear.com. Entrepreneur. Driven by a passion for creating platforms for people to share their opinions, experiences. A student of life, learning new things by choice.